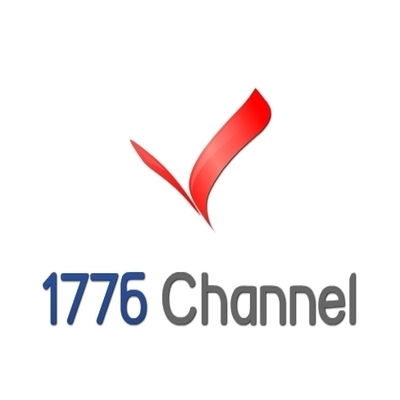 (1776 Channel) Did Gulftainer load a cargo ship at an Iraqi port with containers of cement to hide heavy rockets and other weapons already on board and headed to Gaza for attacks against Israel? A U.N. report about the the weapons shipment remains classified, so confirming Gulftainer’s potential involvement with the illicit cargo is challenging. The wealthy Jafar brothers, at the helm of the UAE family which owns and controls Gulftainer, are well connected at the U.N.
Badr Jafar, CEO of Crescent Enterprises, parent company of Gulftainer, launched the Pearl Initiative at the UN in 2010. Majid Jafar, CEO of Crescent Petroleum, co-Chairs, alongside former President Clinton, Business Backs Education, a UNESCO-run global educational campaign. 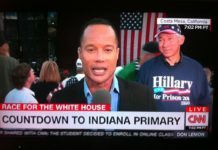 The campaign is funded by the Varkey GEMS foundation, a contributor to the Clinton Global Initiative. Could the U.N. be keeping the report classified to protect the Jafars and Gulftainer? If the U.N was aware of any connection between Gulftainer and the KLOS-C, it would be in the interest of both the Jafars and the U.N. to keep the report classified. 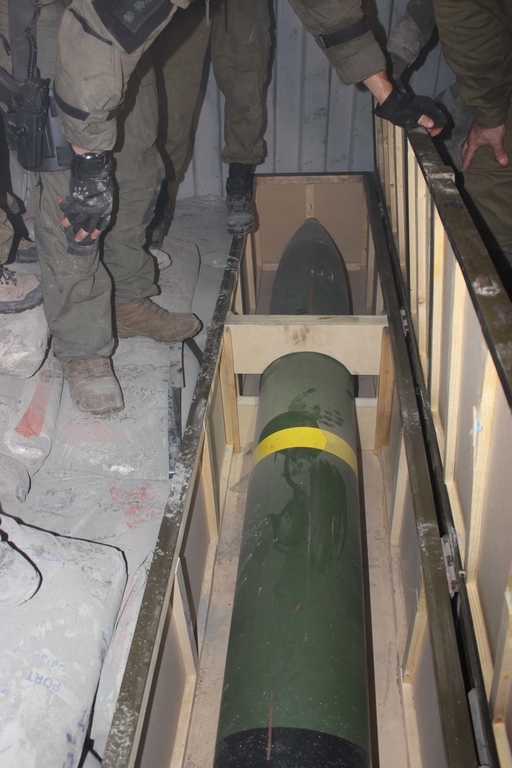 Israeli intelligence detected and tracked the weapons shipment beginning early last year. 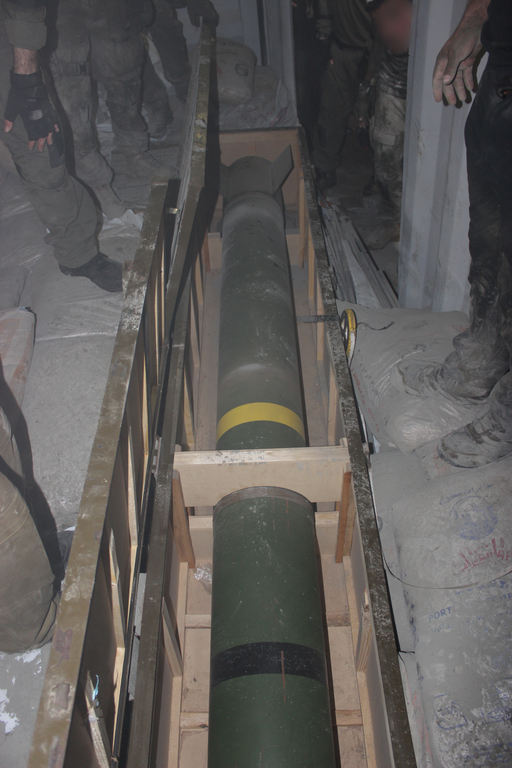 The weapons shipment began in Syria, according to IDF reports. The M-302 rockets were packed in wood crates, and flown via cargo plane from Damascus, Syria, to Tehran, Iran. 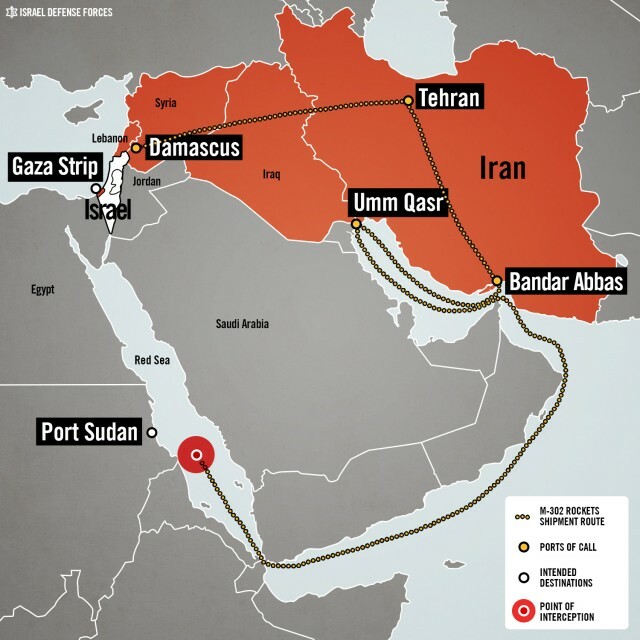 From Tehran, the weapons were moved by land to Iran’s Persian Gulf port of Bandar-Abbas. The weapons crates, along with cement bags marked “Made in Iran,” were placed inside intermodal containers marked with bold painted white stripes. The white-striped containers with the weapons were then loaded onto the KLOS-C in Bandar-Abbas, Iran. 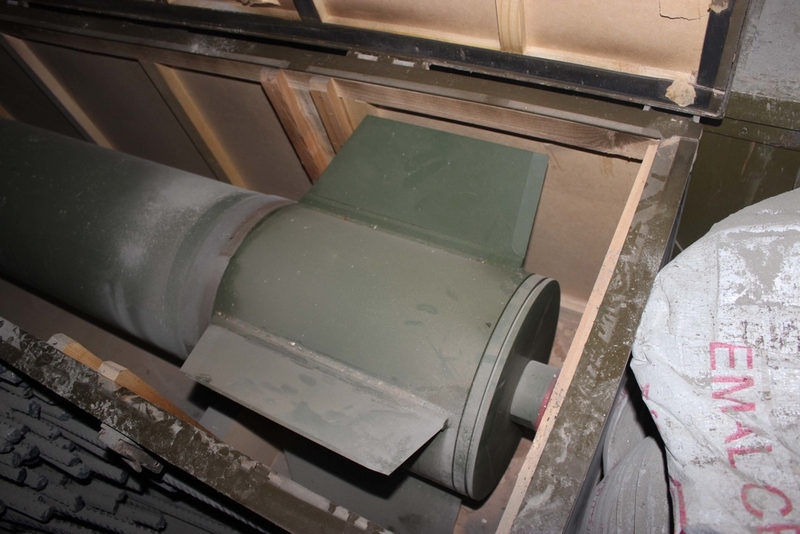 The IDF maintains that the Turkish captain of the ship and the rest of the crew were not aware that there were weapons inside the containers. The KLOS-C departed Bandar-Abbas, Iran with weapons on board and headed for Umm Qasar Port in Iraq. The KLOS-C spent several days docked at Umm Qasr Port, and additional containers, loaded with cement, were placed on board. It is difficult to confirm if Gulftainer loaded the KLOS-C at Umm Qasr port, but it is known that Gulftainer operated two container terminals at Umm Qasr. Gulftainer began container operations at Iraq Project Terminal (IPT) Berth 8 at Umm Qasr Port (South) in 2010, and at the Iraq Container Terminal (ICT) (2 Berths) Umm Qasr Port (North) in 2012. The ICT has four gantry cranes (40 tons capacity each), two mobile harbor cranes (100 tons each) and 13 reach stackers. The KLOS-C was carrying 40 “powerful M-302 rockets capable of striking almost any point in Israel, including Jerusalem and Tel Aviv…181 mortar shells and approximately 400,000 7.62 caliber rounds” of ammunition, according to IDF’s official blog. “Such bullets are frequently used in Kalashnikovs, a common weapon for Hamas policemen in Gaza. Kalashnikovs, alternatively known as AK-47s, were also used by the militants who launched a cross-border attack on Israel from Sinai in August 2011” reported the Christian Science Monitor. 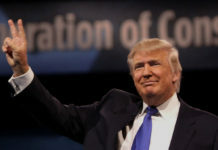 “Although 100 of the 150 containers were transferred from Iran to Iraq, the shipment’s loading form was modified to make it appear as if the shipment came from Iraq directly. 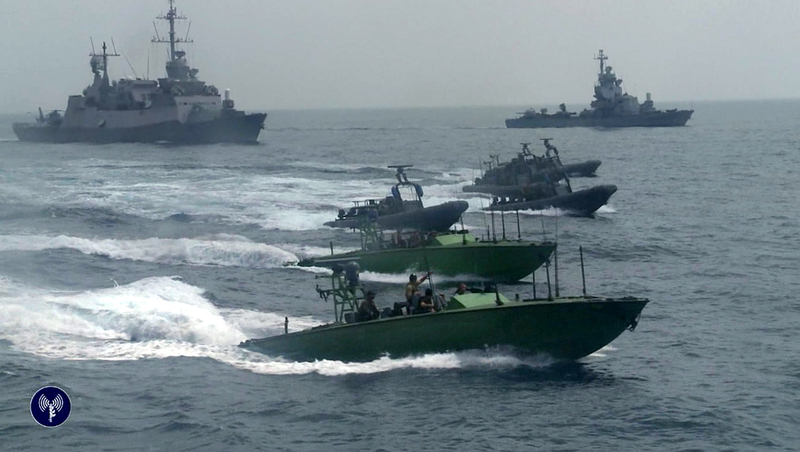 It is clear that Iran was trying to hide its involvement in any form.” stated the IDF blog. 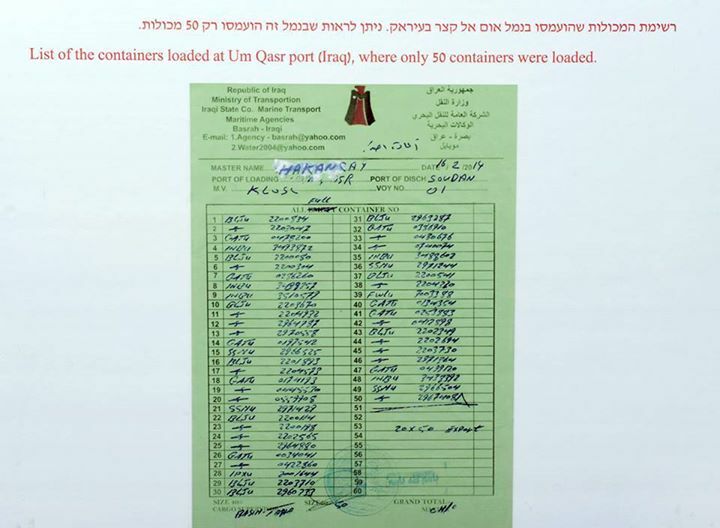 The IDF’s assertion that the “loading form was modified” suggests that the terminal operator at Umm Qasr Port used container-lifting cranes to arrange the containers aboard the KLOS-C in such a way that the weapons would be difficult to find. That scenario increases the likelihood that the terminal operator in Iraq was not only aware of, but also a co-conspirator with Iran in the illegal weapons smuggling operation. Umm Qasr Port in Iraq appears to be a wild and loosely-regulated port. “Into Umm Qasr comes “anything you can think of that you would go down to the store to buy,” said Army Maj. Sean Tyson, who works with Iraqi border officials in Basra. …Now Umm Qasr has a more legitimate harbor and a bureaucratic mess, said Lt. Col. William Benson, commander of the 1st Squadron, 10th Cavalry Regiment. International Container Terminal Services Inc. (ICSI) announced on April 10, 2014 a plan to begin container operations at Umm Qasr, but that announcement came a month after Operation Full Disclosure. Germany’s Martrade Group and Gazal Logistics Services operate a container terminal at Umm Qasr Port (South) Berth 5. The U.N.Security Council’s Panel of Experts on Iran issued the report, which has been obtained by Reuters. The U.N. also disputes Israel’s claim that the weapons were bound for Gaza, instead suggesting that the final destination was Sudan. Gulftainer’s new GT USA subsidiary secretly negotiated a 35-year container terminal lease with Florida’s Port Canaveral, and plans to start operations there later this month. The new Port Canaveral Gulftainer terminal, still under construction, is located adjacent to a U.S. Navy submarine base, NASA’s Kennedy Space Center, and passenger terminals serving cruise ship operators Disney, Norwegian, Carnival and Royal Caribbean. An unnamed source told 1776 Channel that “the defense establishment is unhappy” about the deal between Gulftainer and Port Canaveral. The cement bags in the IDF video indicate the cement was manufactured in Iran. 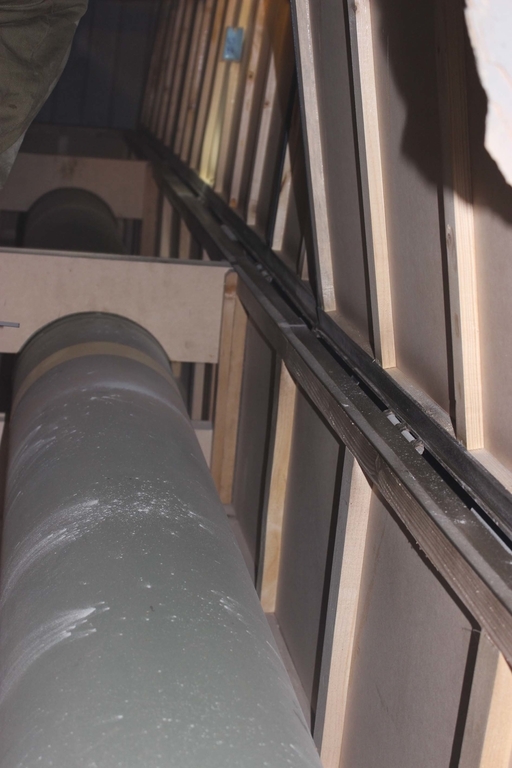 Hamas has been building cement tunnels to smuggle rockets and other weapons. Gulftainer is building their Port Canaveral terminal next door to the Cemex cement terminal. Next articleIs Port Canaveral CEO John Walsh accusing Iraqi port authority whistleblowers of being ‘racist’ and ‘profiling’?